Looking for the best coffee in Nashville? You have come to the right place! We almost consider ourselves to be “locals” in Music City with the frequency that we head across I-40 to experience this beautiful metropolis in the heart of Tennessee. 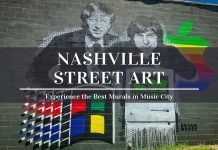 Each time we visit Nashville, we look to experience something unique and the beauty about this rapidly growing city is that it’s always easy to find something new. Whether you enjoy the artisanal experience inside a local coffee shop or simply prefer to indulge in your favorite espresso, it’s fair to say the following collection offers a distinctive blend of taste, aroma, ambiance and much more. 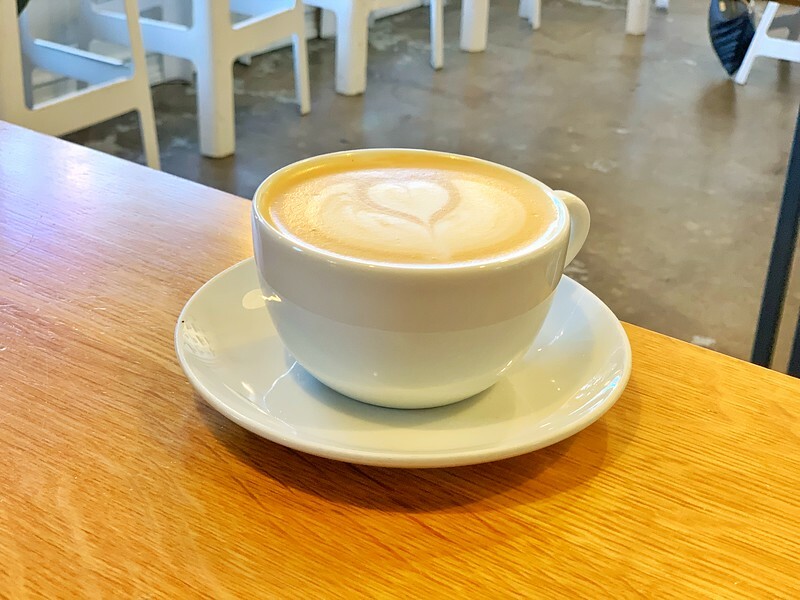 If you read any of our other posts highlighting the best coffee shops in Memphis or our preferred coffee houses in Oklahoma City, you will know that we love visiting local spots to experience more than just coffee. It’s about the coffee shop experience! Nashville plus the aforementioned coffee shop experience is a great combination. 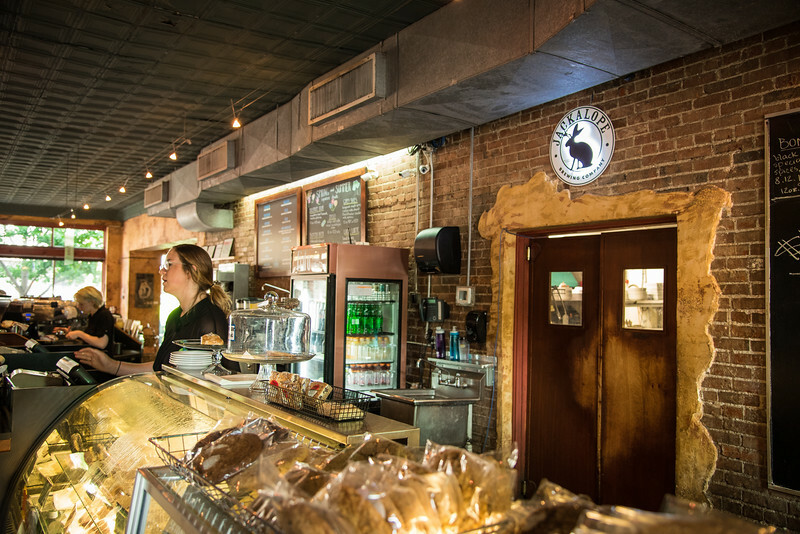 Not only can you enjoy the very best of Music City by exploring some of the awesome downtown attractions in Nashville, but you can also re-energize your batteries by grabbing your favorite espresso beverage at one of the many coffee shops. One constant that we always love to enjoy is finding great local coffee shops. And when I tell you that Nashville is home to an eclectic, diverse blend of amazing coffee shops, that truly is an understatement. There are SO MANY amazing local spots to choose from that honestly, it would be a crime to see yourself heading through the doors of Starbucks. Ok, ok we are guilty of it too…there is nothing quite like the convenience of knowing a Starbucks is right around the corner. 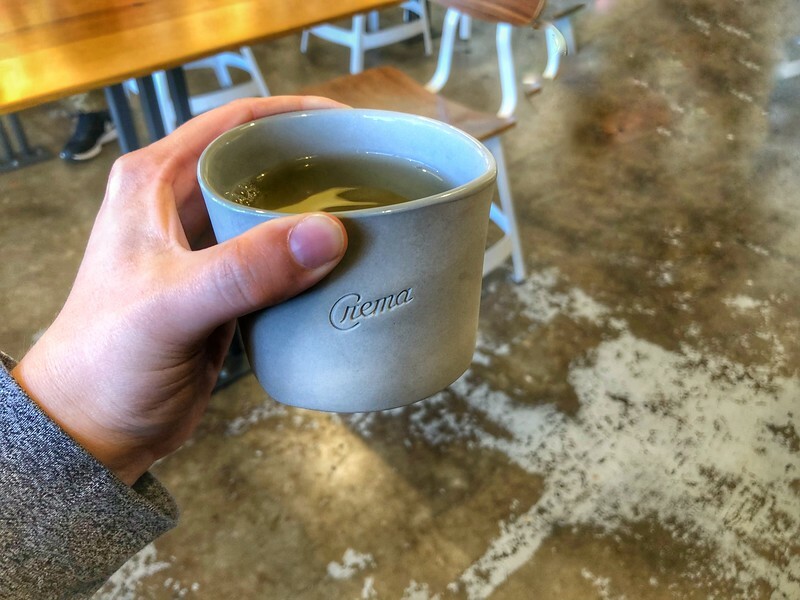 But this post is NOT about this global conglomerate, rather it’s focused solely on identifying some of the best coffee shops in the Nashville area. 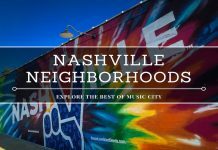 From the heart of downtown Nashville to the surrounding suburbs such as Franklin, there are plenty of local gems to choose from and there are many more that we look forward to visiting in the near future. 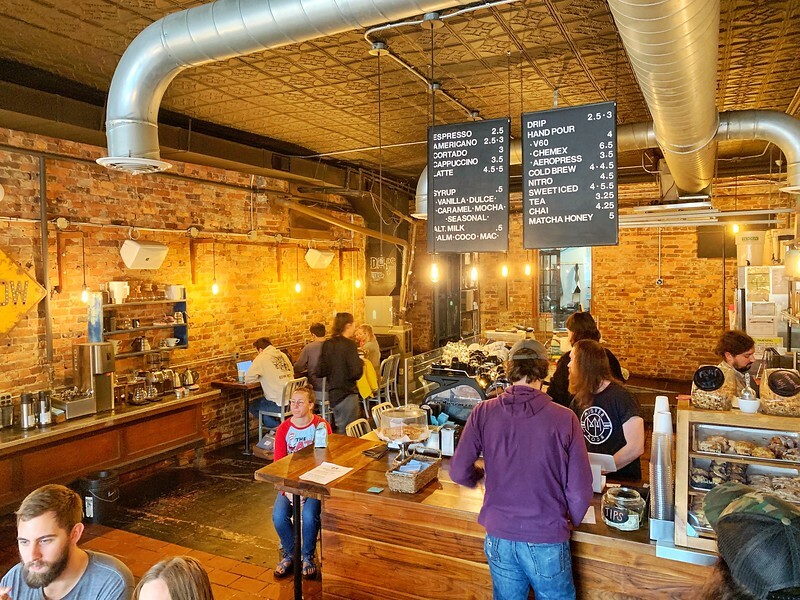 Whether you heading on a long weekend trip to Nashville or simply passing through, it’s fair to say that one of these coffee houses won’t be too far from your travels and should definitely be on your radar. Let’s start with downtown Nashville. 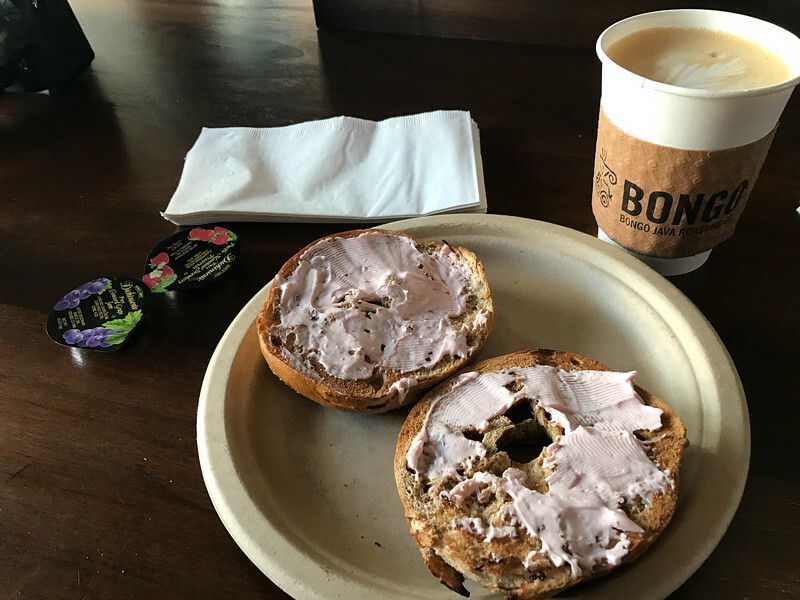 If you are planning on staying in the heartbeat of Nashville, look no further than the amazing Omni Nashville Hotel which is perfectly situated to explore some of the best attractions across the city…and of course, home to one of the best coffee shops – Bongo Java. 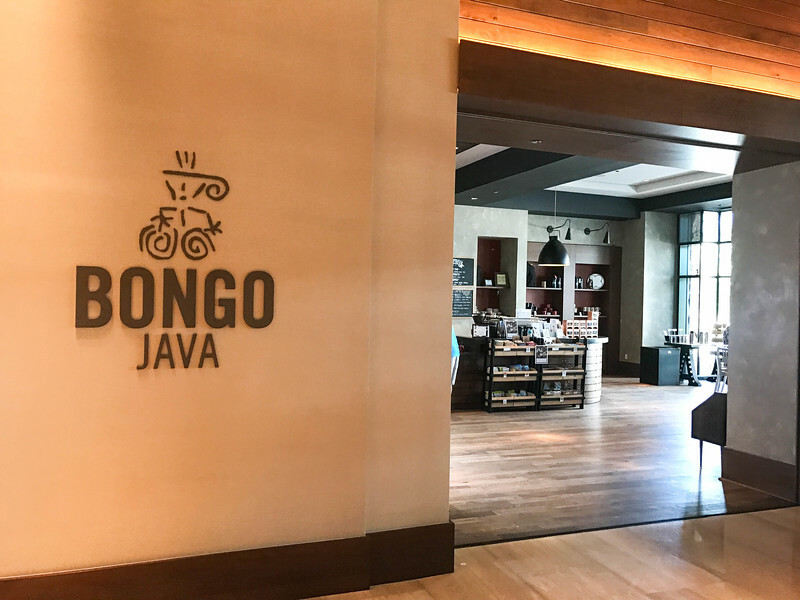 Bongo Java, established in 1993, is “Nashville’s oldest and most honored coffeehouse.” This brand is based out of Nashville and has several locations across the city but our experience was inside the Omni Hotel where you can enjoy breakfast and your favorite cup of Joe before venturing out into the city. The beauty of Bongo Java is that everything is so unique and unlike any other coffee house that we have visited. 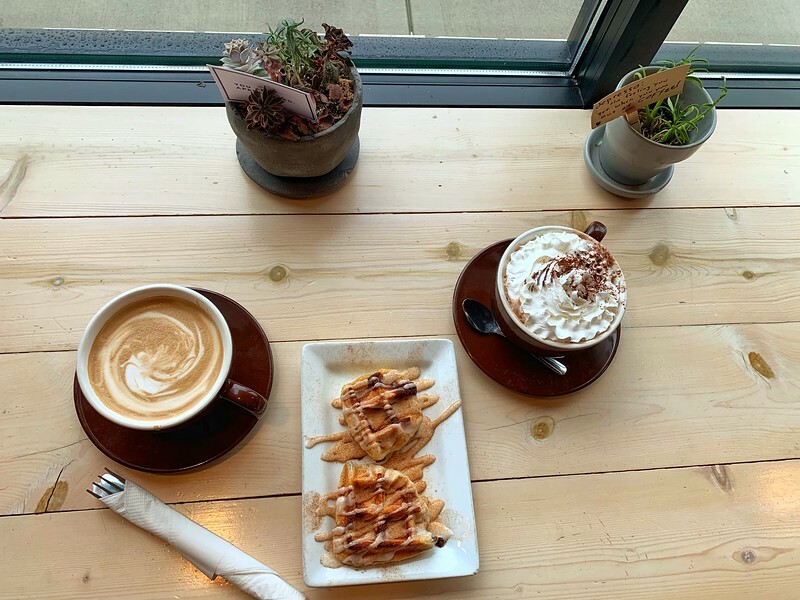 The diverse menu offers such distinctive flavors and they arguably push the boundaries of creating eclectic espresso beverages to the limit by combining ingredients that perhaps you normally wouldn’t associate with a traditional coffee shop. Let’s take a look at one of our favorite examples – the Broadway. Advertised as “Whisper Creek Tennessee sipping cream caramel, espresso, and milk” this may just sound like a glorified caramel macchiato but when you taste it, you realize that there must be some hidden secret inside the drink that makes it taste so good. Need a little more convincing? 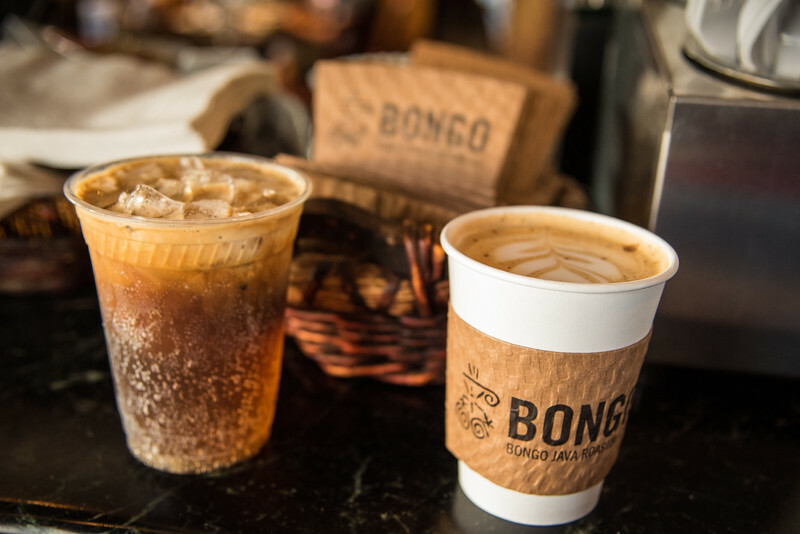 Take a look at this menu from Bongo Java East Nashville. 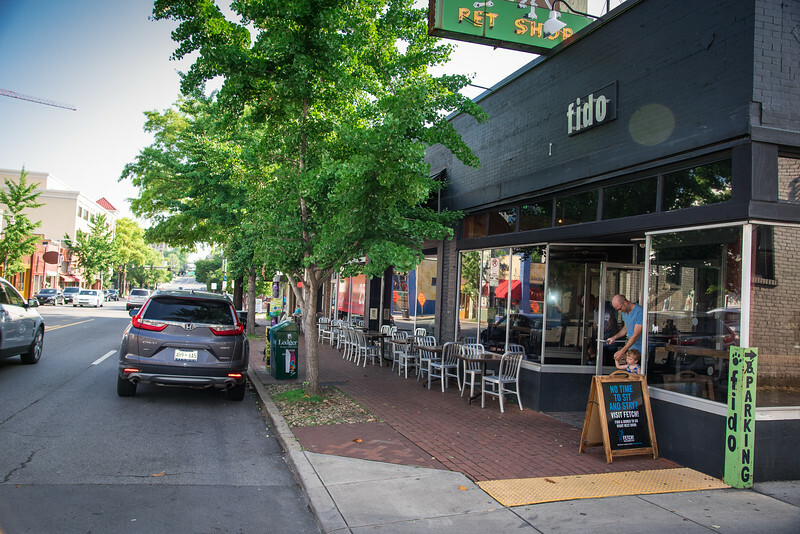 One of the best neighborhoods around Nashville for a great breakfast is the Hillsboro Village area. Head over to the Pancake Pantry and you will quickly see why this place has such a glowing reputation. 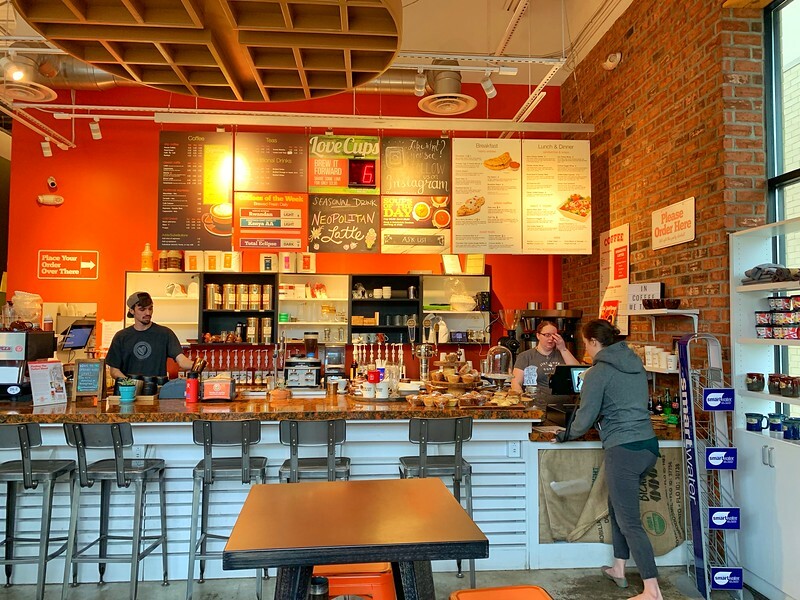 But the Hillsboro neighborhood is more than just this one spot, in fact, we would argue that this is just one reason to explore. From amazing street art to an awesome coffee shop, this is one of the neighborhoods you cannot afford to miss. Wait…did I mention an awesome coffee shop? 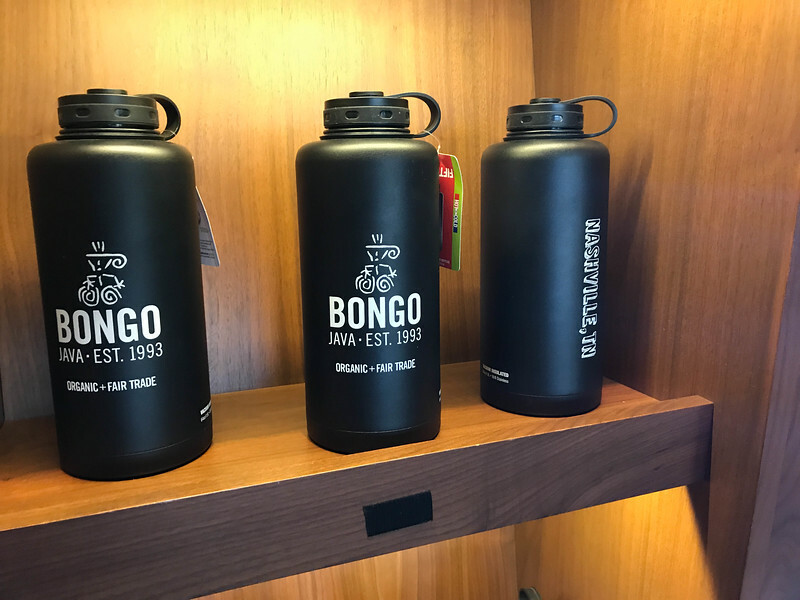 That’s right, although technically part of the Bongo Java collection, we would argue that “Fido” deserves to be on its own when thinking about the top coffee shops across Music City. So, what makes Fido such an amazing coffee shop? 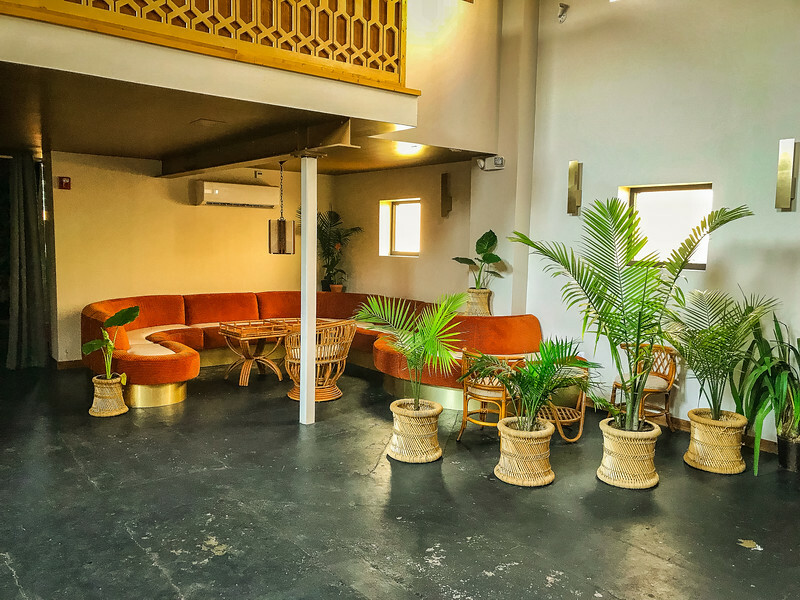 Aside from having a really cool interior that is the perfect place to relax and enjoy the vibrant atmosphere, the eclectic menu is particularly appealing and will certainly satisfy everyone’s coffee needs. 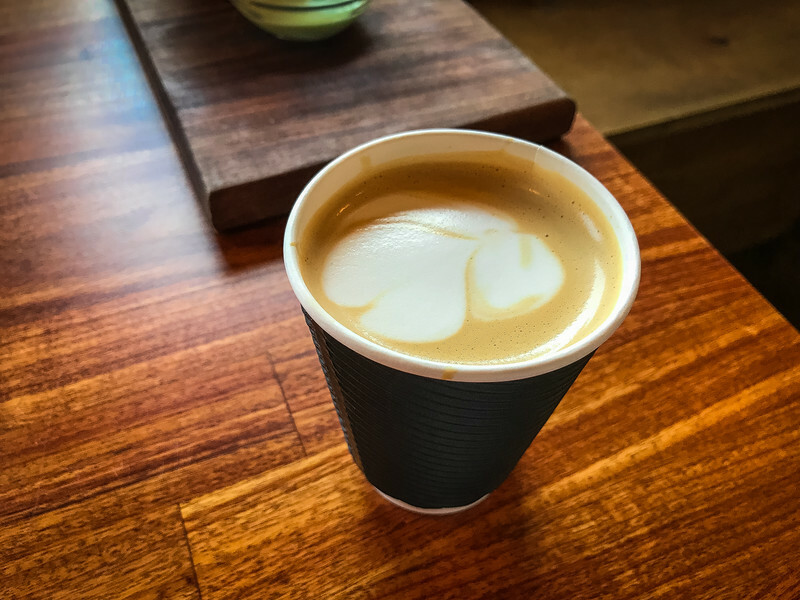 However, for the “non-coffee” drinkers out there (come on guys, you need to try some of these local coffee offerings and you will quickly be converted! ), there are plenty of diverse options available. Unsurprisingly, the name Fido comes from the fact this building is a converted coffee shop. Don’t worry, you won’t be stumbling across any feline friends during your visit but you will certainly be tempted to experience many of the beverage options! 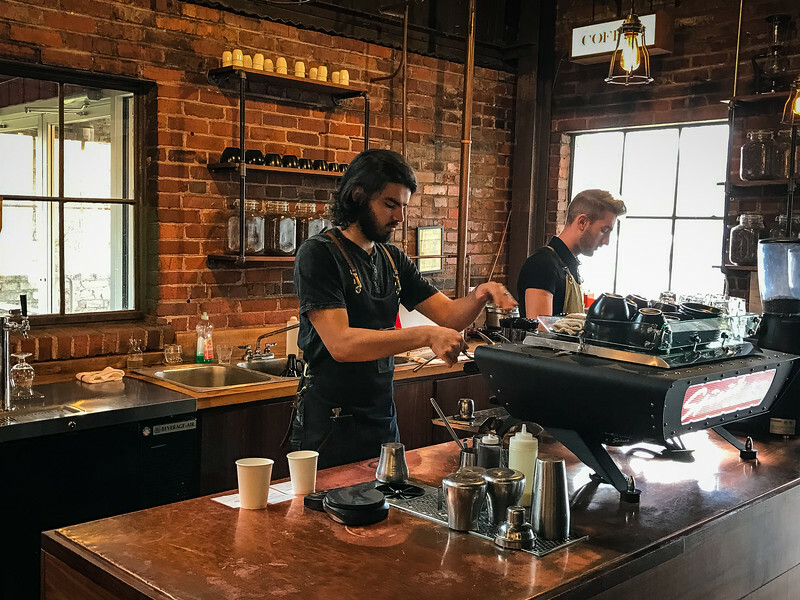 Our journey around Nashville’s best coffee shops saw us venture south to the beautiful town of Franklin. 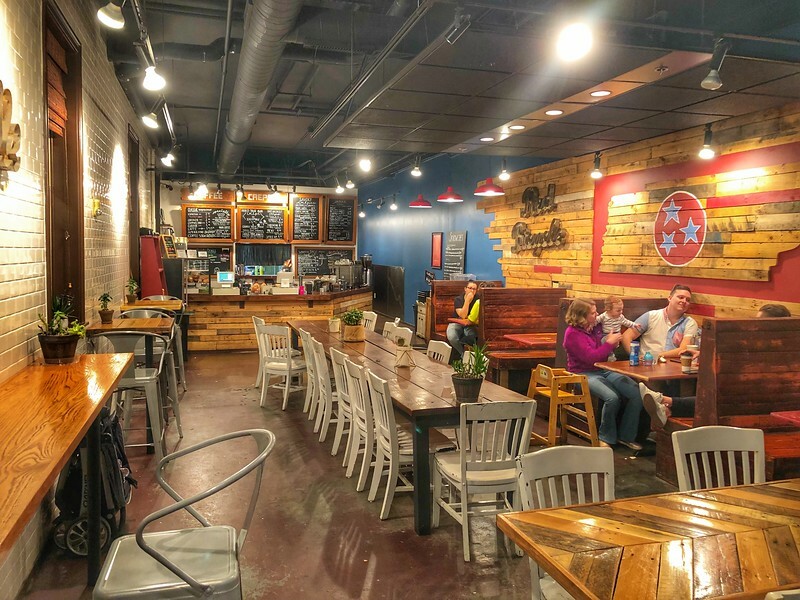 Technically not in the city of Nashville, we still think the coffee shop we stumbled across here should be included in the collection of best spots to visit in Music City. 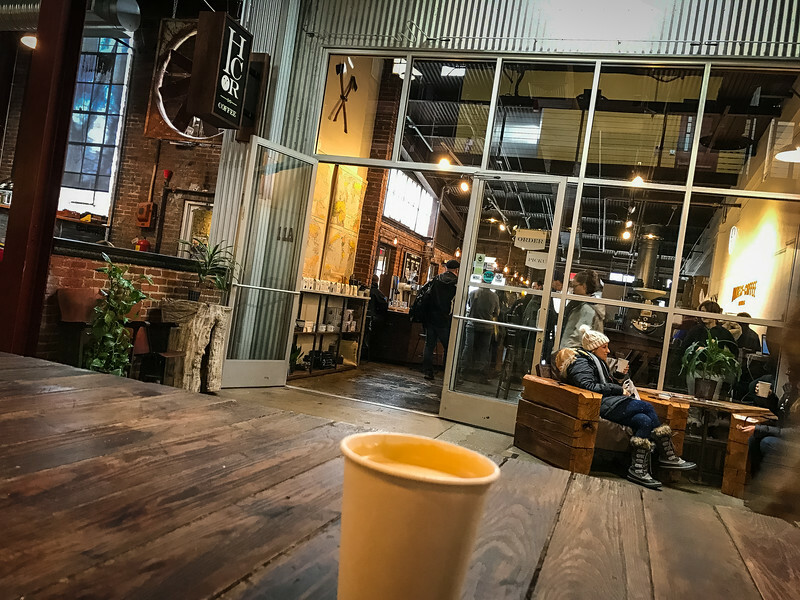 Honest Coffee Roasters is located inside the Factory, a renovated former stove works building that is now home to an eclectic blend of local eateries, boutique shops and of course, this delectable coffee shop. 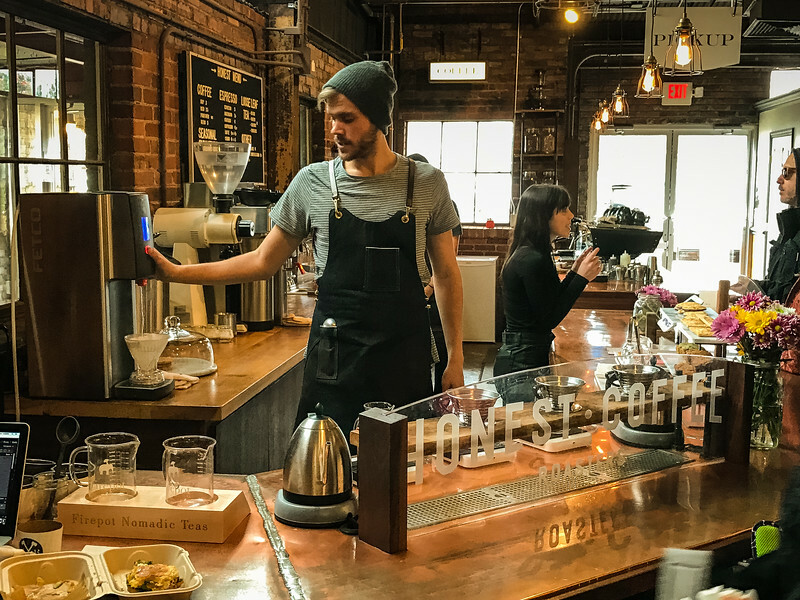 For those of you that have traveled around the South, you may have heard of Honest Coffee Roasters given that they have a location in downtown Huntsville, Alabama which is equally awesome. 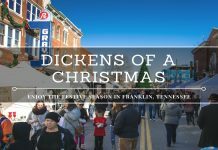 Looking for the best things to do in Franklin during a weekend getaway? 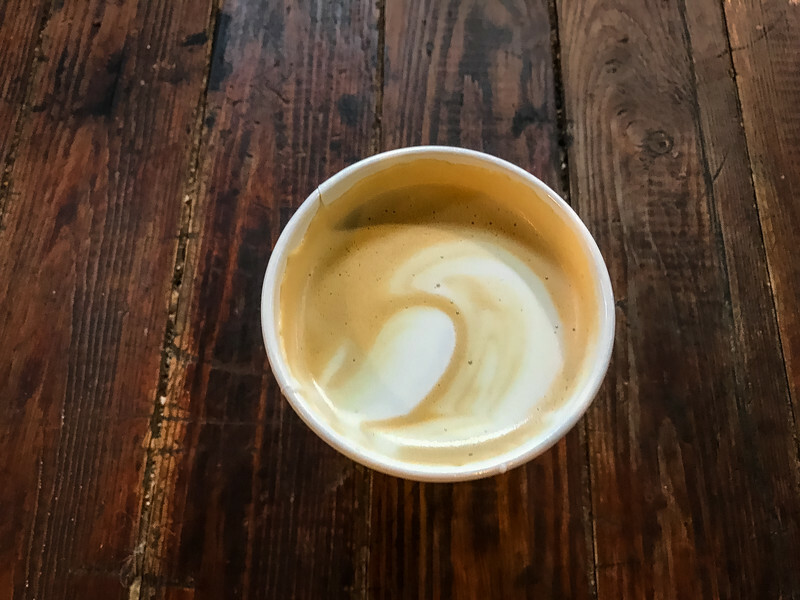 Aside from experiencing the awesome civil war history landmarks and artifacts across the town to learn all about the Battle of Franklin, pay a visit to Honest Coffee Roasters to enjoy a delicious latte or other perfectly manicured espresso beverages. When you watch the folks creating your coffee, pay close attention to the intricate details and precision that is put into manicuring your beverage – that’s what they call it an art an a “meticulously roasted” concoction. 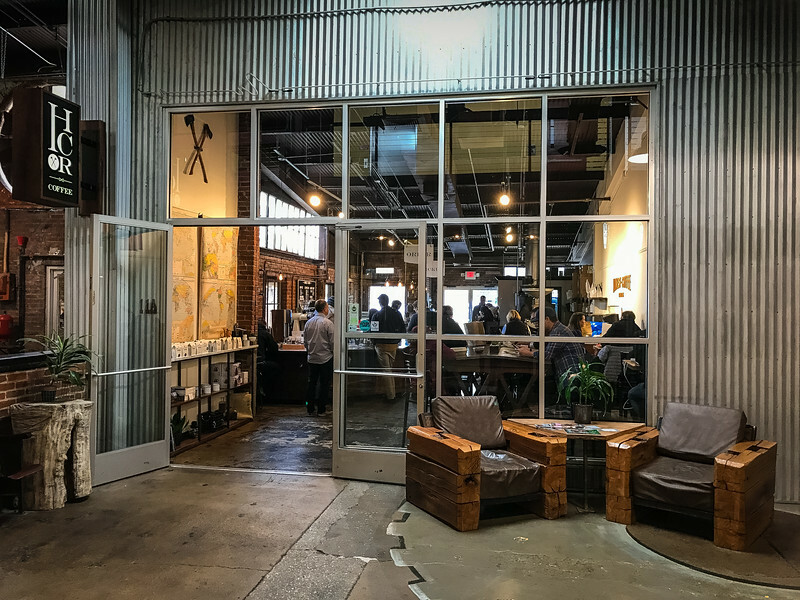 One of the trendiest coffee shops in Nashville can be found in the thriving neighborhood known as The Gulch. 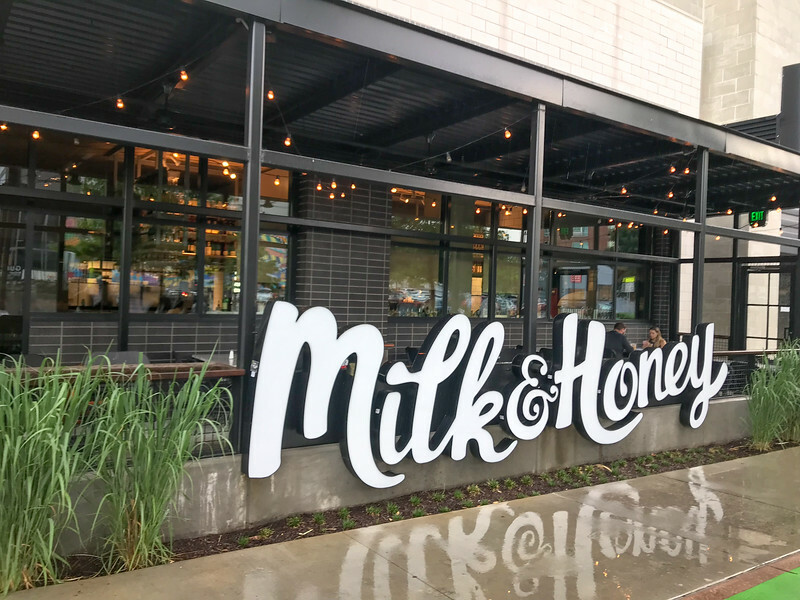 Milk and Honey is a hip coffeehouse that offers an eclectic blend of coffee options but is perhaps one of the best spots for visitors to Nashville that are looking for a choice of either espresso-based beverages or alternative options. Whether you are visiting Milk and Honey to enjoy breakfast, lunch or dinner, there is a vast array of options available on the menu. 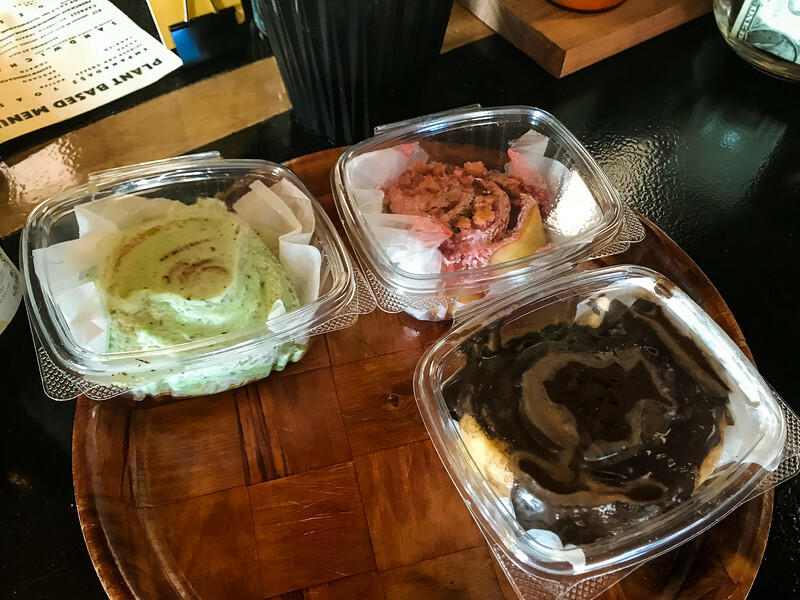 A light snack featuring a decadent cupcake or perhaps the tantalizing prospect of picking your favorite gelato flavor is something you won’t want to miss at this cool coffee shop. Artisanal style epitomizes everything inside Milk and Honey, so you can be sure that everything you order will be freshly made and handcrafted to perfection. It’s not just about the presentation of course, but this coffee shop emphasizes the importance of ensuring the critical details are not left untouched. The best coffee shops can frequently be found in the weirdest places. 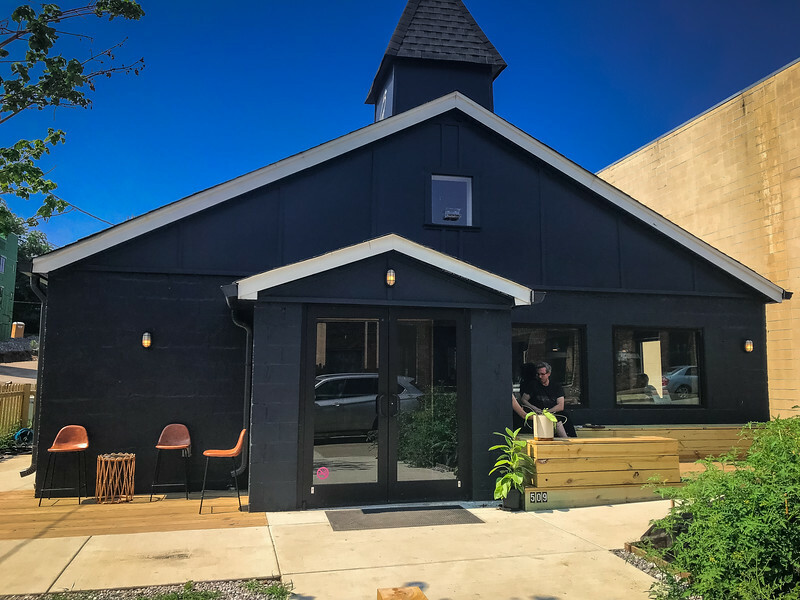 Who would have thought that an old church would transform into the perfect location to house a quirky yet amazing coffeehouse? There is an eclectic, growing blend of distinctive neighborhoods in Nashville and one, in particular, appears to be heading in the right direction. 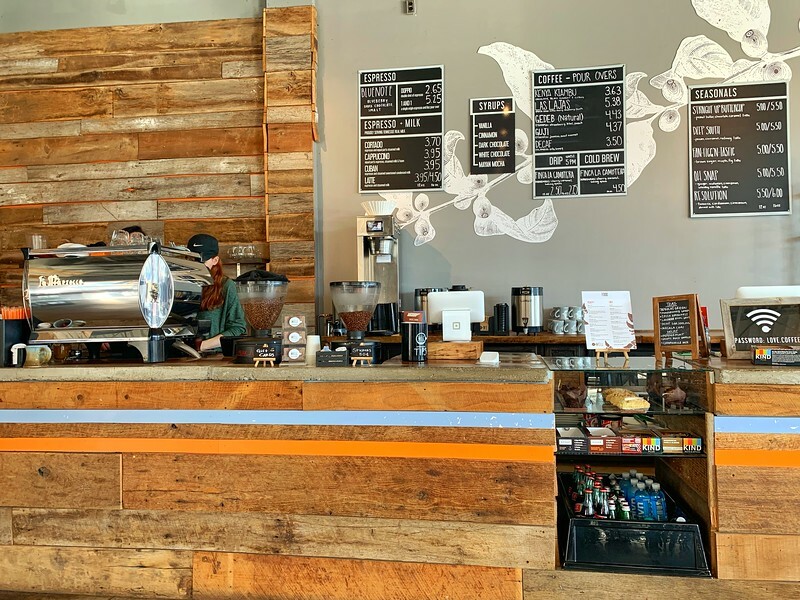 The Wedgewood Houston area is one that is seeing constant growth and transformation and with coffee shops like the Falcon Coffee Bar moving into the heart of the neighborhood, it will hopefully see continuous development in the future. Home to both the Flamingo Cocktail Club and Falcon Coffee Bar, this former church offers the perfect “opposites attract” philosophy as you walk through the front door into the coffee area before heading into the back for a trendy cocktail area that comes alive in the evenings. 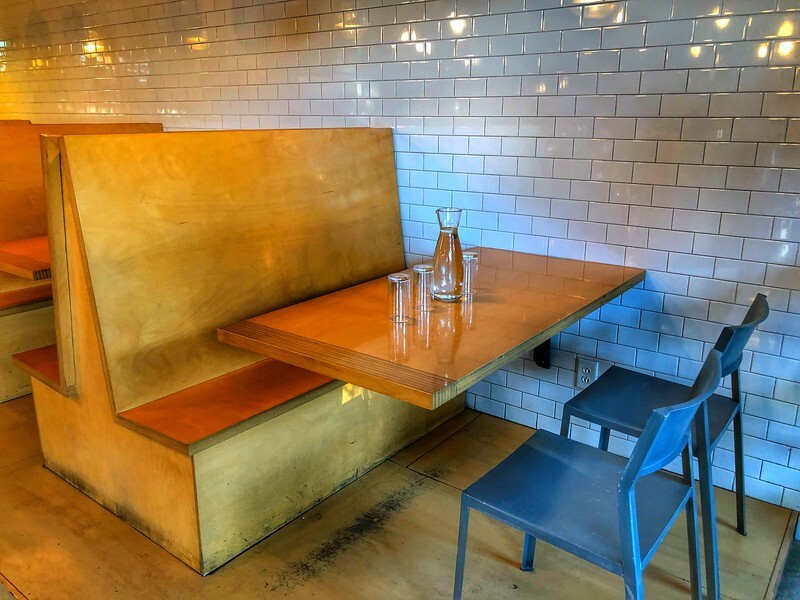 Combine these concepts with the fact that this actually used to be a church and well, you can see why I use the term “quirky”…it’s hardly the quintessential coffeehouse but it actually works really well. 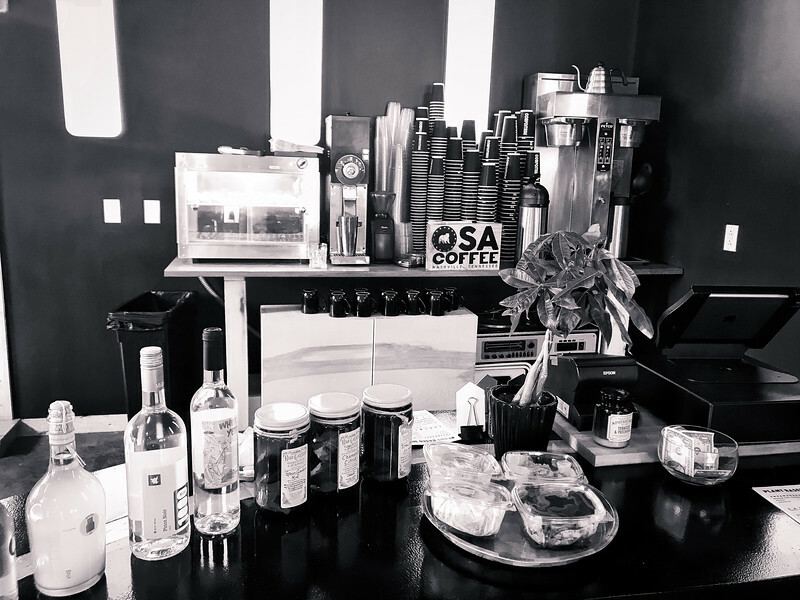 Falcon Coffee accommodates every visitor, from coffee lovers to tea connoisseurs and even has a variety of vegetarian/vegan options to ensure everyone is taken care of. 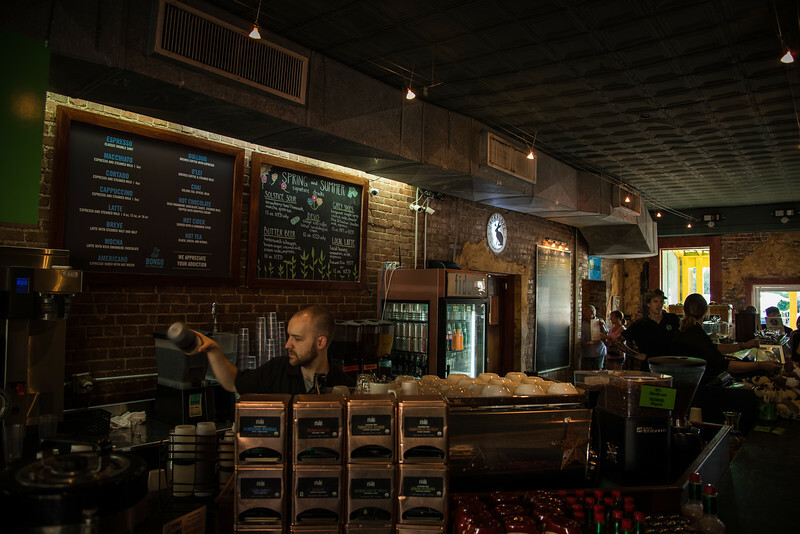 Nashville is home to various styles of coffee shops, each with a unique twist and aesthetic appearance that attracts locals and visitors alike. 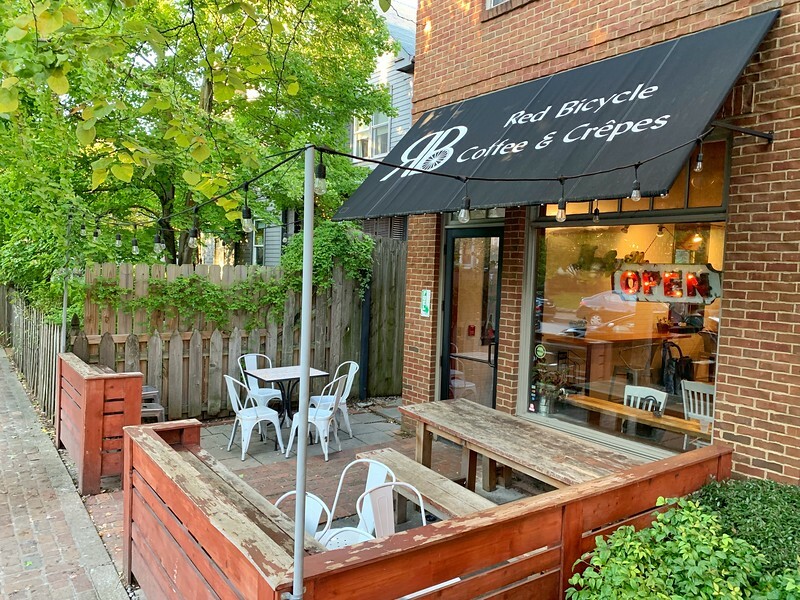 When it comes to the boutique, artisanal style coffeehouses, the Red Bicycle Coffee and Crepes company is one of the very best in the city. 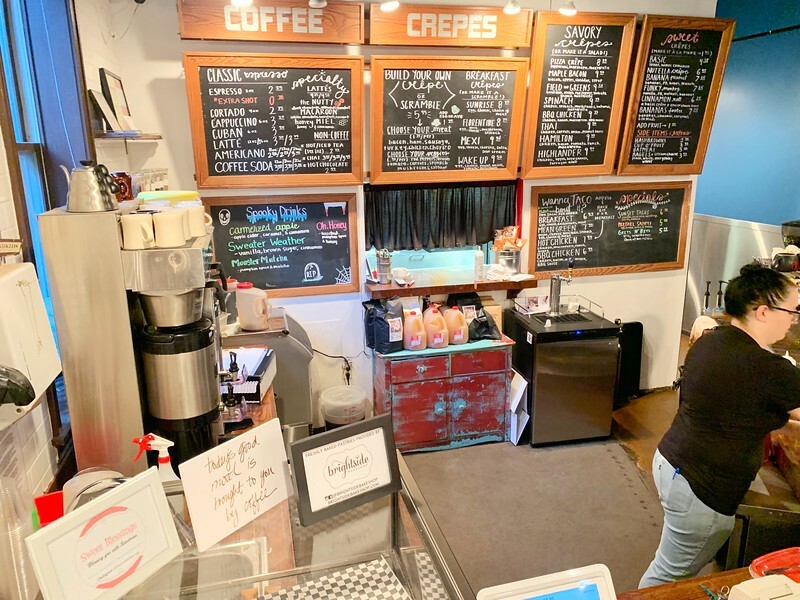 As you have probably established, the Germantown neighborhood of Nashville is a pretty competitive area with a number of awesome coffee shops to choose from but Red Bicycle Coffee and Crepes certainly offers something distinctive to help it stand out from the crowd. 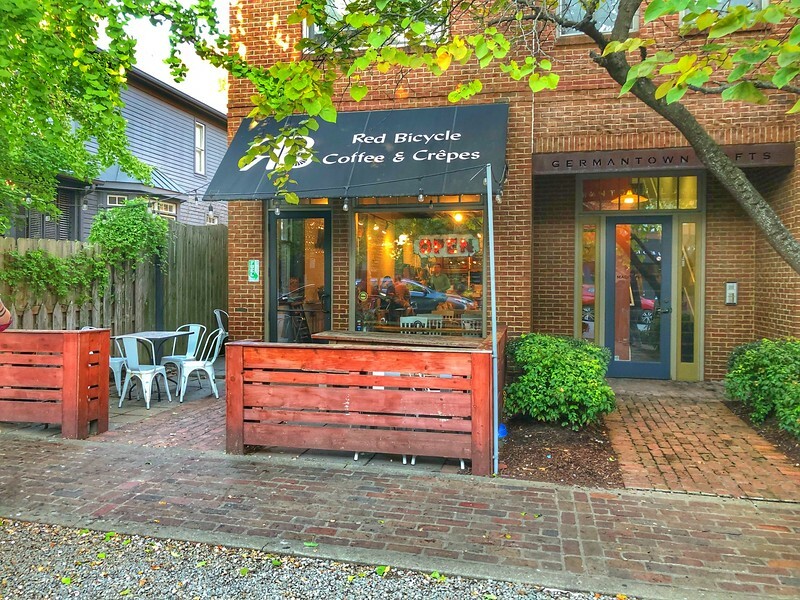 Although Red Bicycle has two other locations, Germantown is the flagship store with perhaps the best curb appeal of any coffee shop across Nashville. Think about a local coffee shop in Italy or France and well, I think this store wouldn’t look out of place in either country. Once inside, visitors can enjoy everything from traditional drip coffee to a wide selection of creative espresso beverages. Of course, the pièce de résistance is the “crepe” selection. From the sweet bananas foster to a savory breakfast crepe, there is a little something for everyone’s palate. Nashville is blessed to have a bunch of eclectic local coffee shops, each with a unique aspect that allows them to stand out from the rest of the competition. 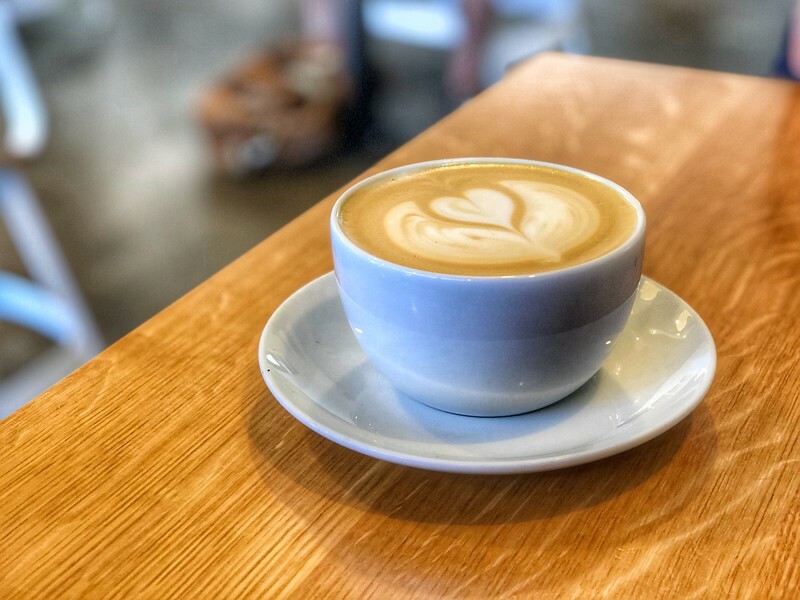 Another of our favorite spots is Crema, not only because of the awesome coffee options but also because of the location in close proximity to Nashville’s downtown vicinity, also known as the heartbeat of Music City! 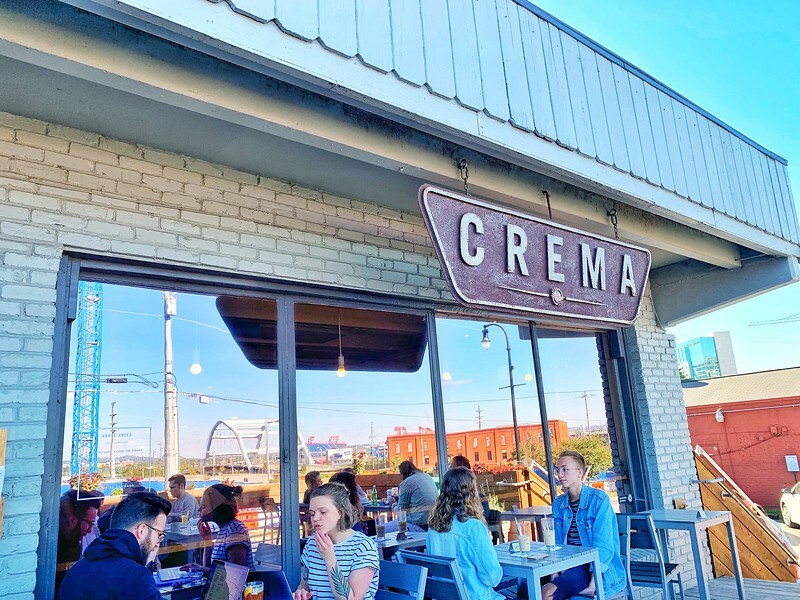 In terms of prime time location in the heart of Nashville, Crema is undoubtedly the best with incredible views across the Cumberland River and the downtown neighborhood. Crema’s focus on “doing one thing” and “doing it well” emphasizes the integral desire to have a perfect experience with the customer. Every visitor to Crema or any other coffee shop for that matter is not necessarily a connoisseur. But this shouldn’t stop a coffeehouse creating an environment conducive to encouraging a return visit. That’s what it’s all about right? Crema certainly does this on various counts! Great coffee, awesome customer service from the baristas who make an effort to make you feel welcome and finally, the perfect location to admire the beautiful city of Nashville! 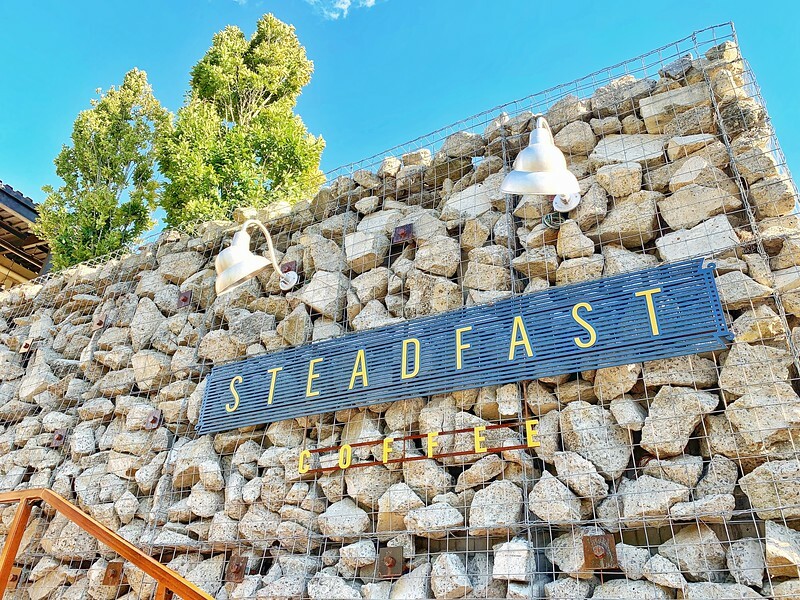 If you love a coffee shop based on its modern appearance and decor, there is no better spot than Steadfast Coffee located in the Germantown neighborhood. Trendy, modern, vibrant and colorful are all words that perfectly describe this coffee shop. 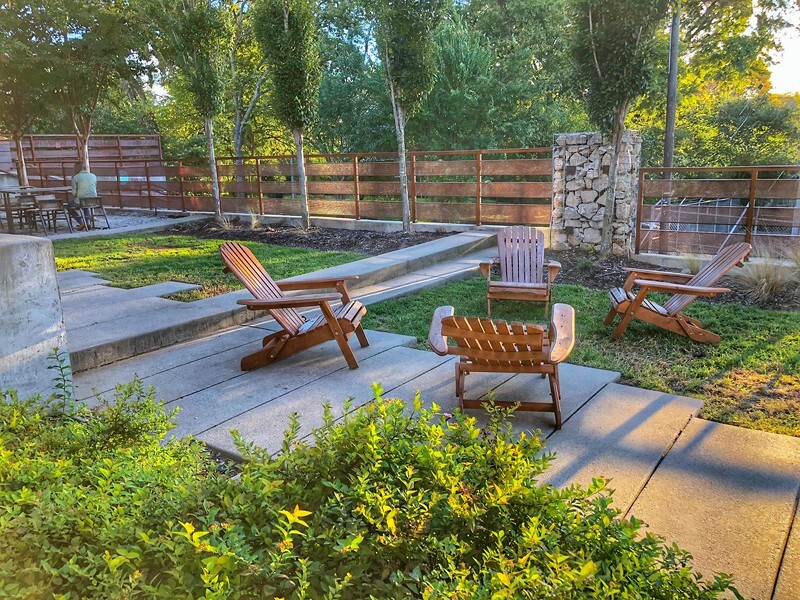 This is the perfect spot to visit at any time of the year, with a gorgeous outdoor patio area providing the ideal setting for a summer’s evening while the modern indoor area offers plenty of seating. The focal point inside Steadfast is undoubtedly the bar area located in the center of the coffee shop. I love how this immediately captures your attention and regardless of where you are seated, you are never far away from watching the local barista expertly master the next beverage. When you read that Steadfast’s philosophy is focused solely on the “guest experience”, it’s no surprise that this spot has been voted “Best in Tennessee” as voted by Food and Wine Magazine. Yes, the coffee may come second but don’t let that fool you because the menu items here will not disappoint. I enjoyed an Iced Butterscotch Latte which on its own sounds delicious but that’s only part of the story. I noticed on the menu that it’s advertised as being “rested” – what does that mean? I inquired and was told that the Steadfast baristas make a batch of these lattes (espresso, milk, and butterscotch), jar them and allow them to sit in the refrigerator until ordered. I can 100% attest that this unique approach has an amazing effect on the drink! 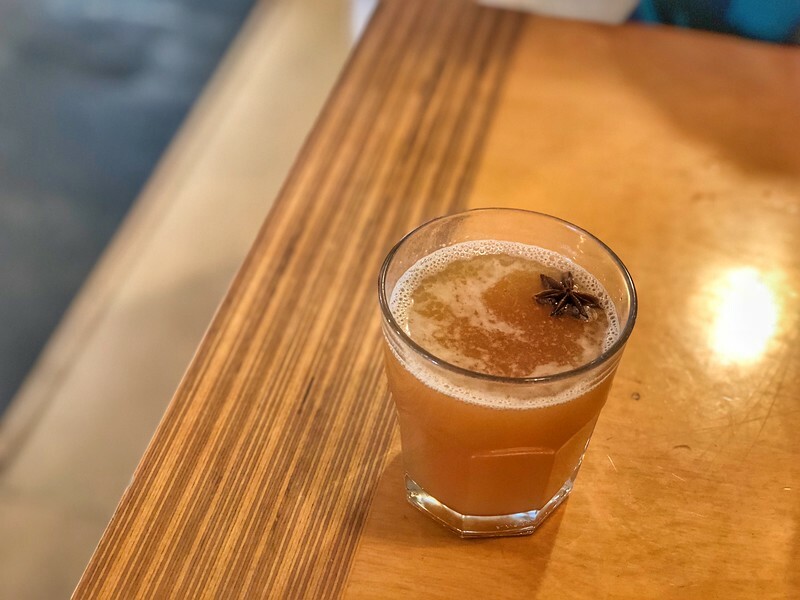 We visited during the fall season, so Heather was able to sample the “seasonal” Spiced Apple Cider, the perfect accompaniment to get some respite from a chilly day in Nashville. 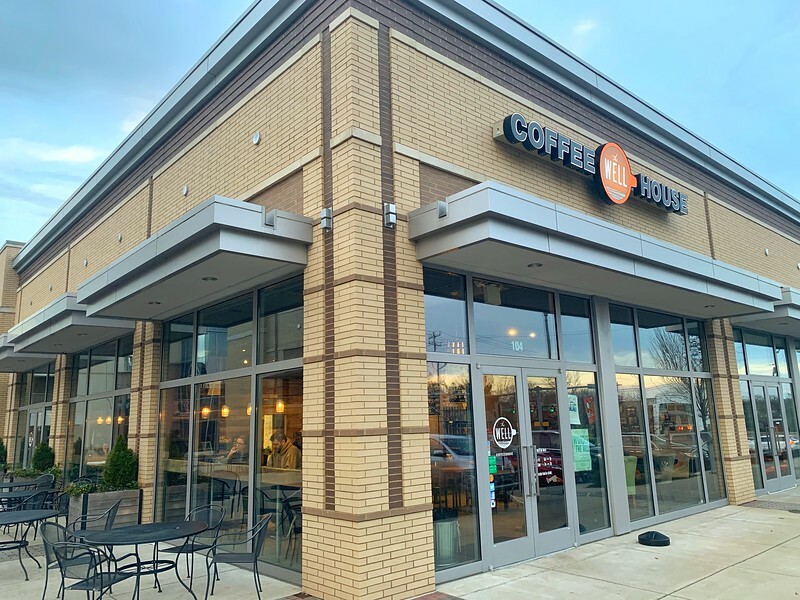 Gourmet coffee aficionados who love the “hand-poured” experience are going to fall in love with 8th and Roast’s two locations found in Nashville. 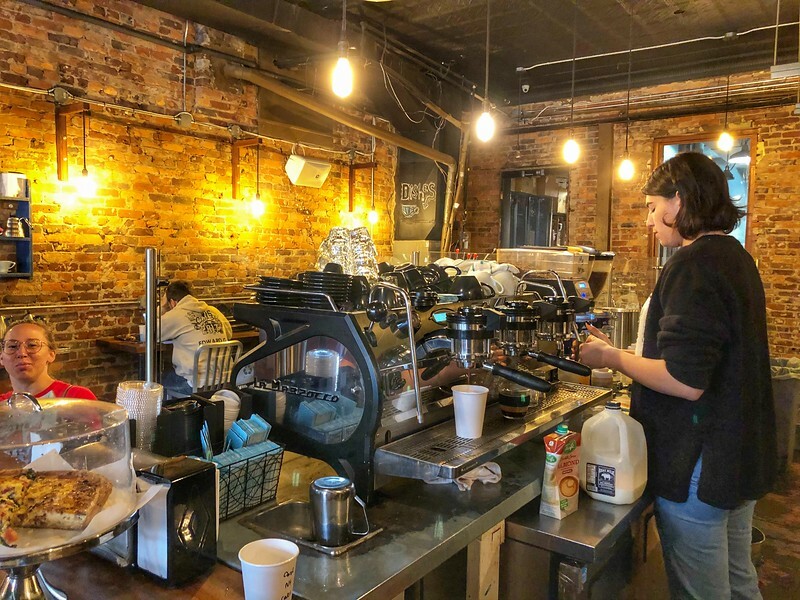 Whether you are visiting the original on 8th Street or prefer the newer spot on Charlotte Avenue, this trendy coffee shop is definitely one of the best options in terms of offering the best coffee. For those of you passing through Nashville’s International Airport, you can also enjoy freshly brewed coffee at 8th and Roast inside the terminal. 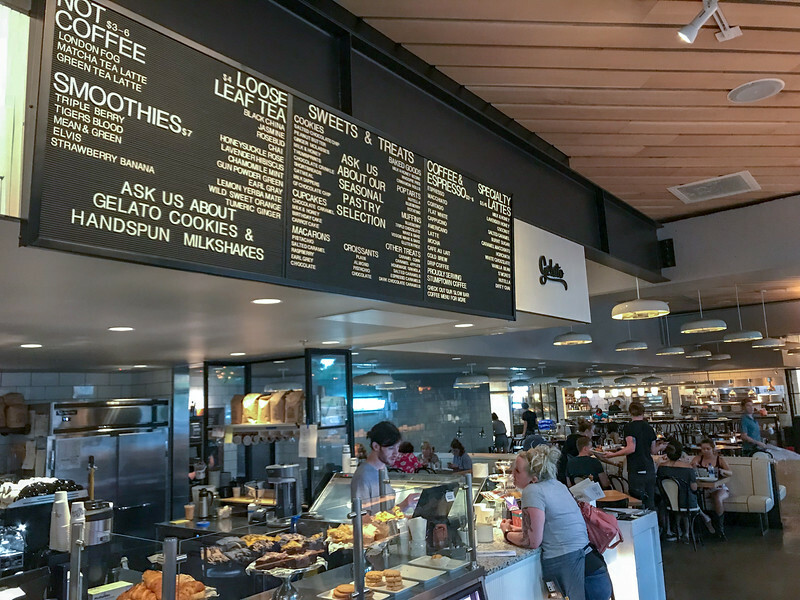 From creative espressos to traditional drip coffee, 8th and Roast has a diverse menu offering that will leave every coffee lover wanting a return visit. I enjoyed one of the best caramel lattes I have sampled anywhere (and I have sampled A LOT of these around the world!) 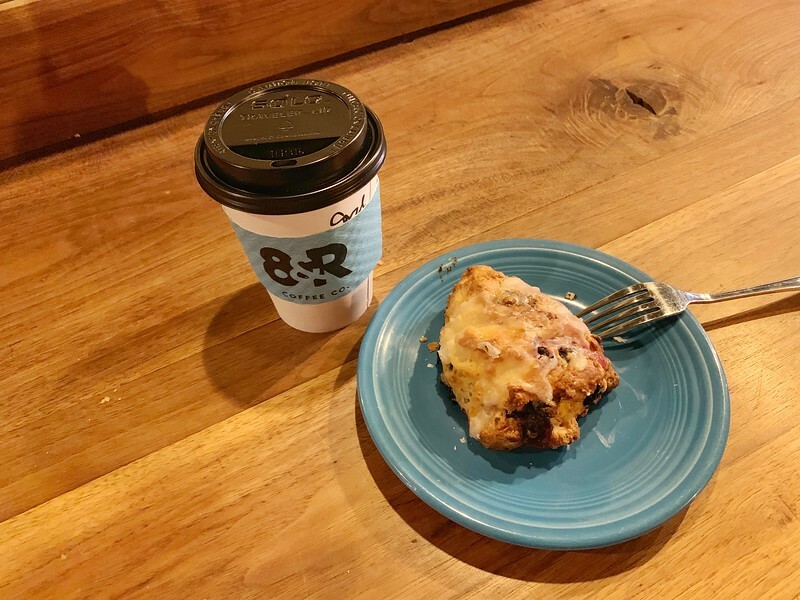 and we both indulged in two pastries to help convince us that 8th and Roast is the perfect place to enjoy breakfast and start your day exploring Nashville. If you are looking for a cool, ultra-modern and lively coffee shop, look no further than Dose Coffee. 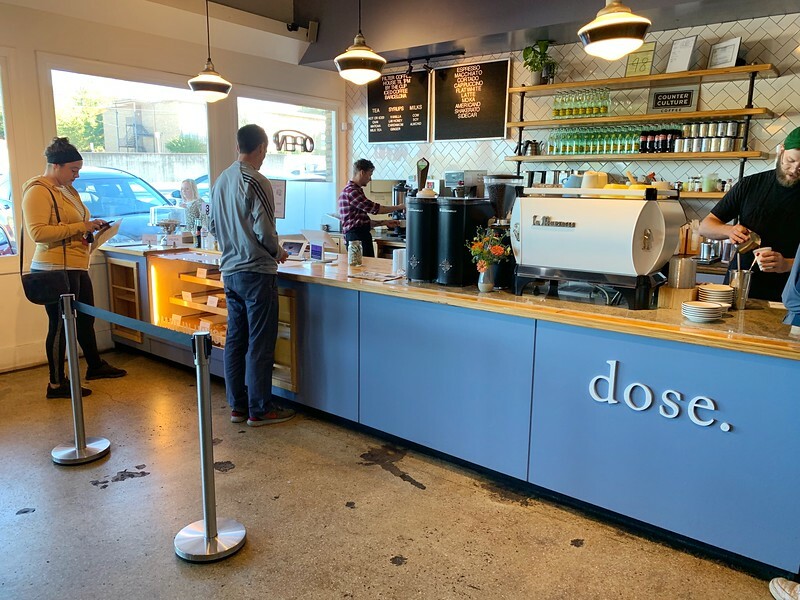 Serving “exceptional tea and coffee” since 2009, Dose is a popular coffee shop for good reason. 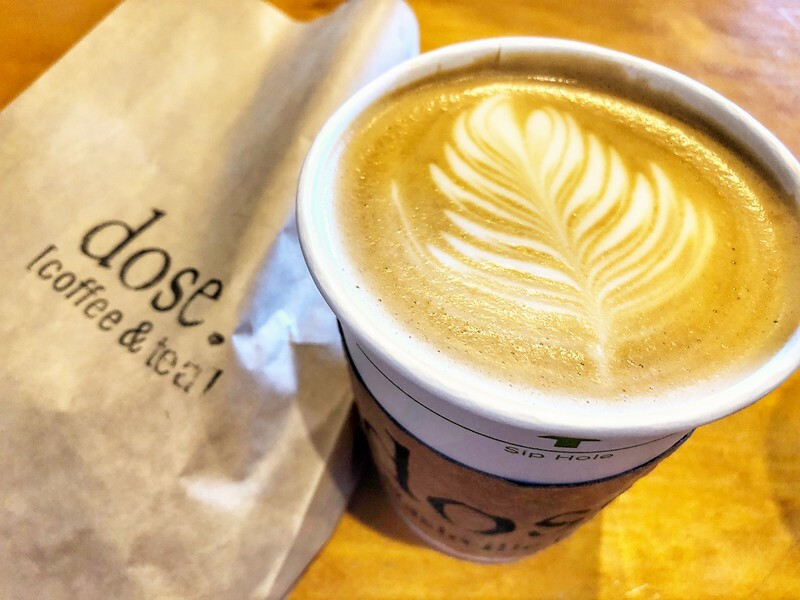 Unlike many local coffee shops that frequently have limited menu options, Dose is the exact opposite with an extensive coffee selection and dining options available. Cuisine options are available throughout the day and whether you are looking to sample one of the freshly made bakery items or need something with a little more substance, you can be sure the friendly baristas will have something perfectly prepared for you. 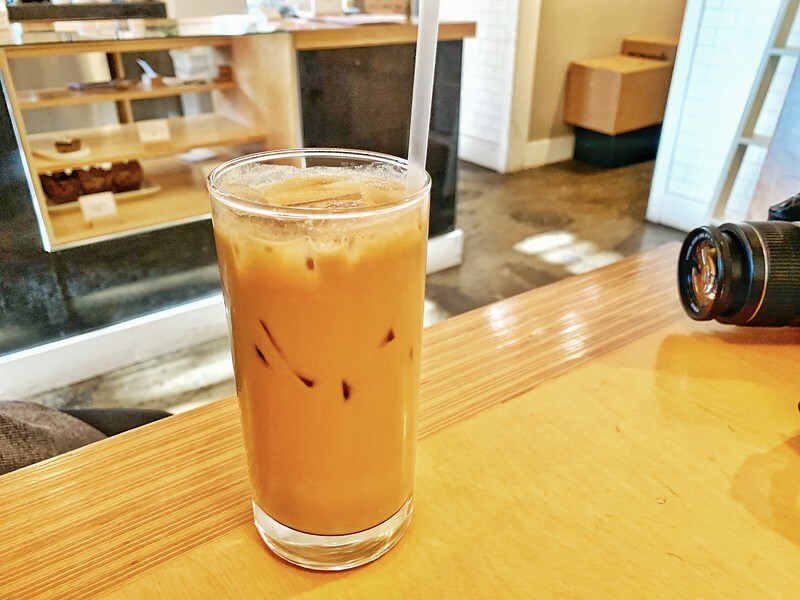 We have been fortunate to visit all of the above mentioned coffee shops across Nashville but we felt that this post wouldn’t be the same without adding a “local’s” perspective. 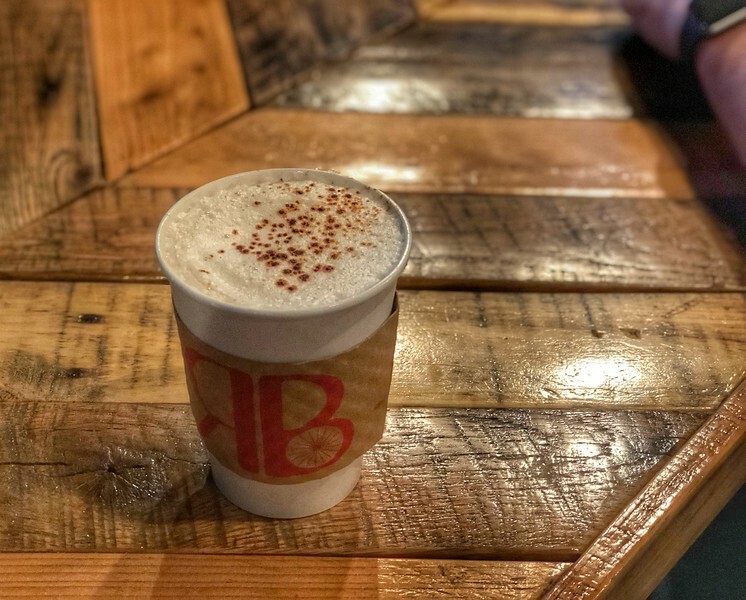 Thanks to our friend Ashley who is a Nashville native, she has provided her own following opinion on what she considers to be one of the best coffee shops in Nashville. If there’s one thing Nashville has a shortage of, it’s definitely not coffee shops. With so many choices, it’s hard to know where to go or which one is the best. 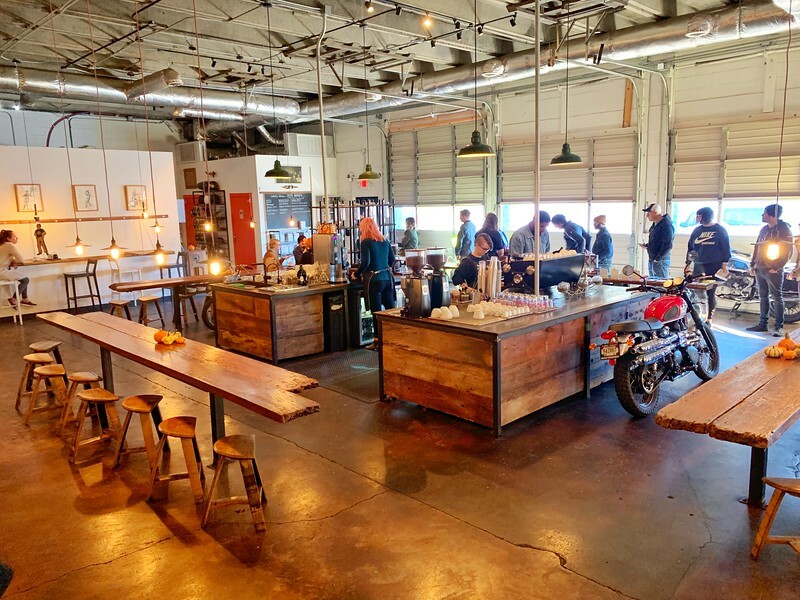 In my honest opinion, most of them are amazing and have something to offer so I can’t really choose an absolute favorite but I do love Barista Parlor. 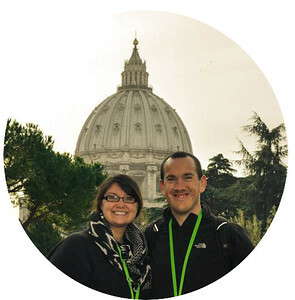 With five locations since just 2011, they’re growing fast! I’ve only been to the Germantown location but I love how big it is! It’s perfect for sprawling out and getting lots of work done or for a good dose of people watching. The huge windows allow for lots of natural light too! 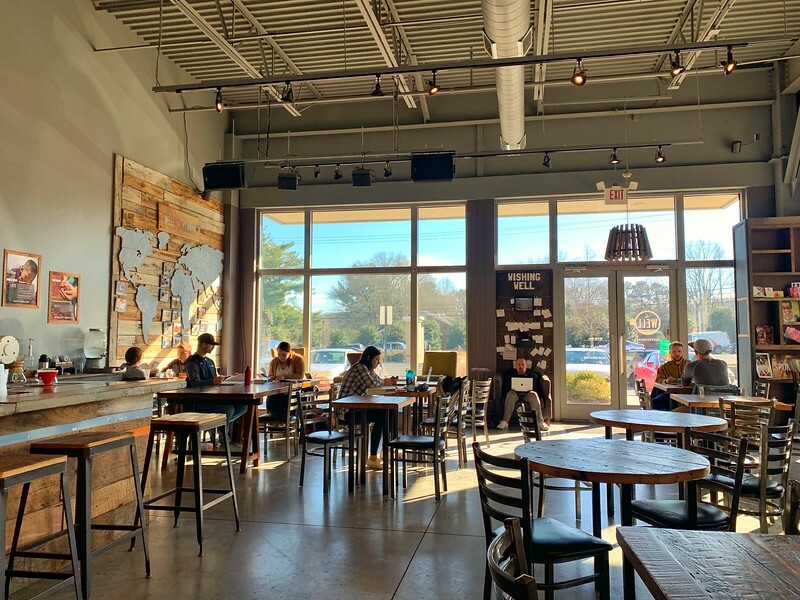 The Germantown location is perfect for grabbing a coffee following a visit to the Farmer’s Market, Bicentennial Park or any one of the restaurants in the neighborhood’s growing foodie scene. 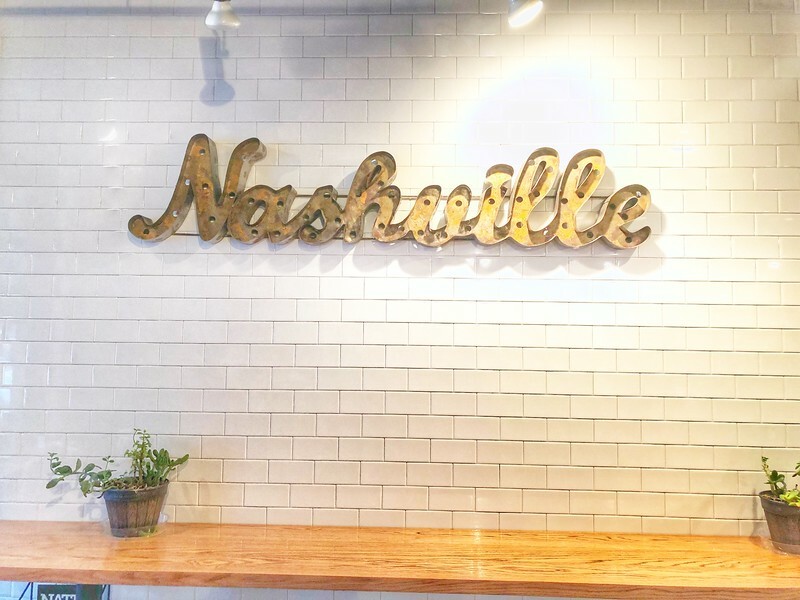 Be sure to check out Ashley’s travel blog at A Southern Gypsy for more inspiring stories of Nashville and beyond! 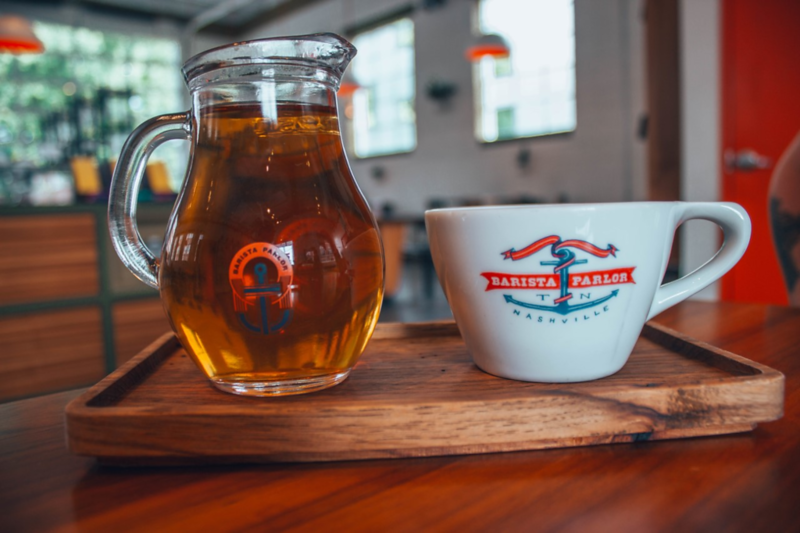 Although we haven’t visited the Germantown location of Barista Parlor that Ashley referenced, we did take some time to visit another of their flagship shops in East Nashville. I can certainly see why Ashley considers this to be one of the best around Nashville because the unique decor and overall ambiance makes this the perfect place to relax for a few hours with your favorite drink. Stumbling across great coffee shops is one of best experiences when you are exploring a city. 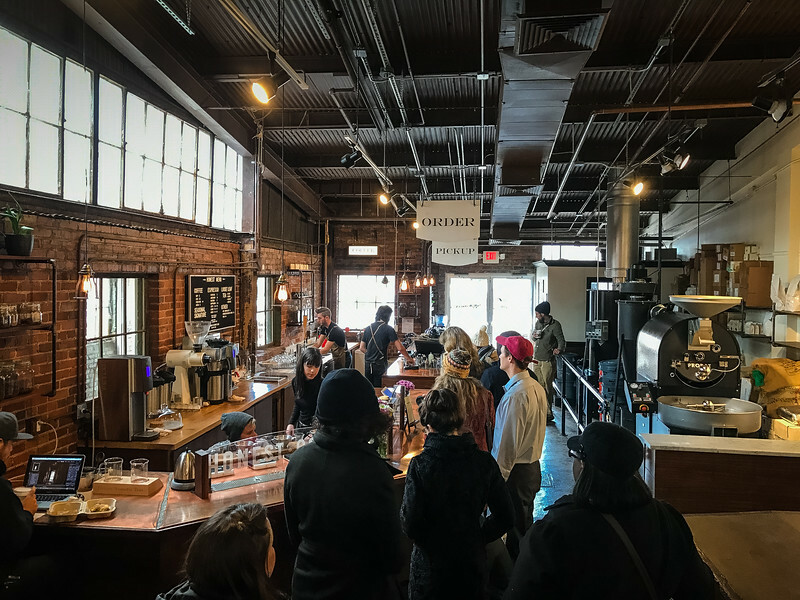 It’s no surprise to hear that the coffee market is rapidly increasing and one thing we love about Nashville is that there are so many to choose from. 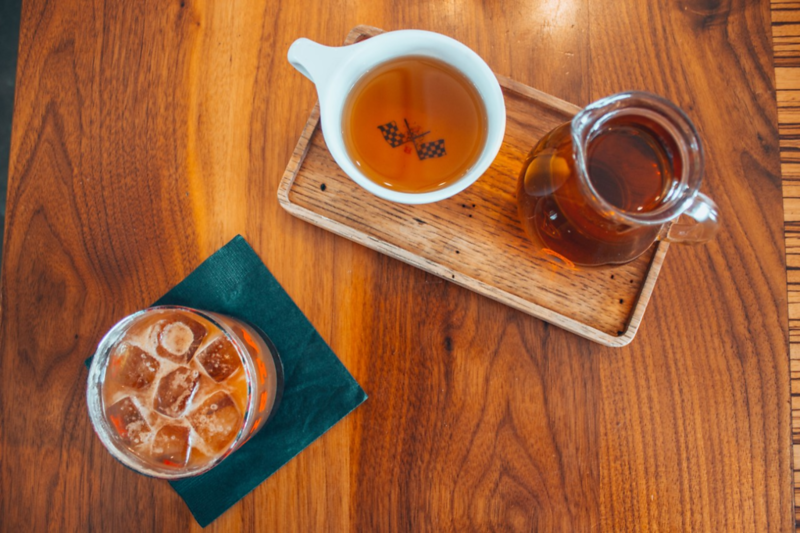 From local coffeehouses to chain establishments and those in between, we enjoy experiencing all of the above. 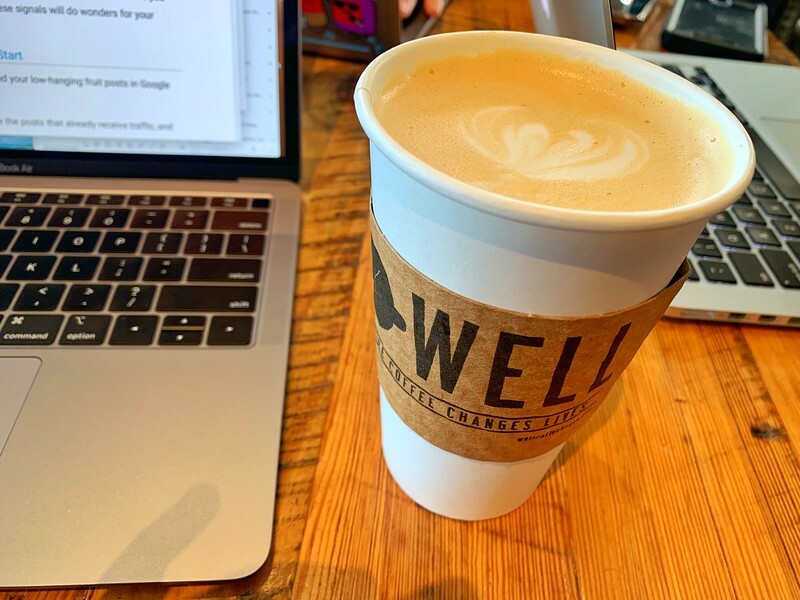 The Well Coffeehouse is one of those “in between” establishments given that there are several locations scattered across Nashville’s diverse neighborhoods. We visited the location in Brentwood, south of the main city center and immediately fell in love with this place. 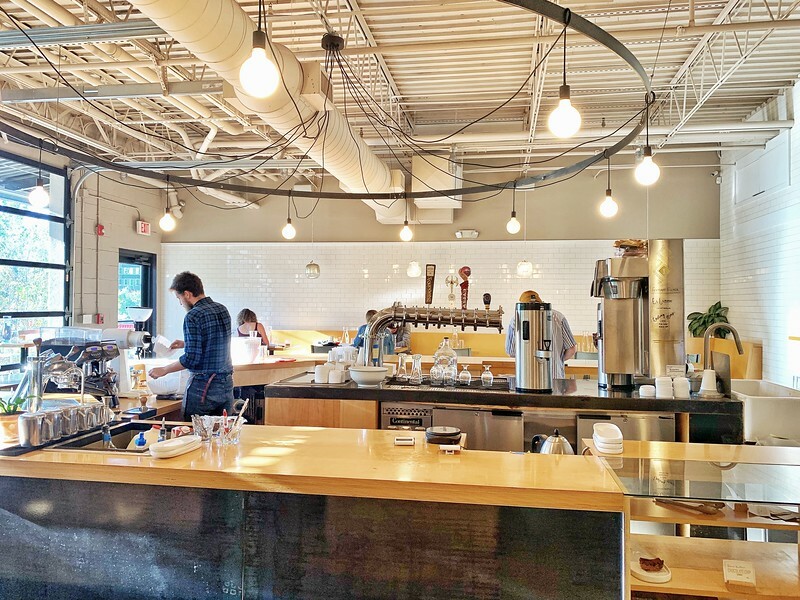 If you love spacious, trendy coffeehouses, The Well Coffeehouse is certainly going to check all of the boxes. 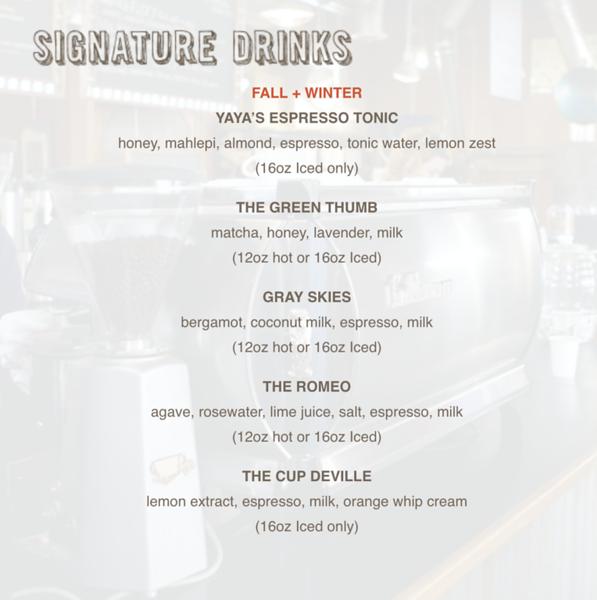 From a variety of seasonal drinks, including the wonderfully named “Fan-Figg’n-Tastic” and “Straight Up Buttercup”, to a number of hand-crafted pour overs, coffee lovers are not going to be short of options here. And don’t worry, for the non-coffee drinkers, there are plenty of other options available. 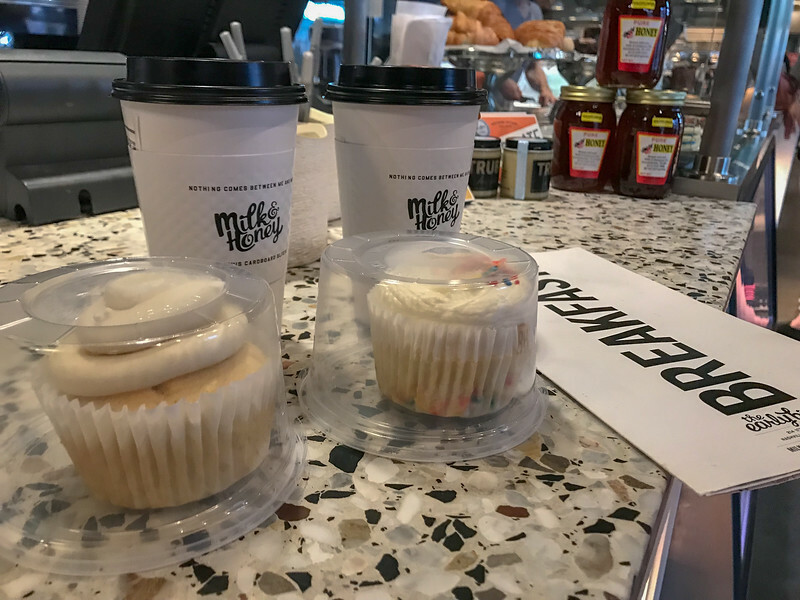 Every time we visit Nashville, we find something new and unique and our recent visit to Music City was no different when we stumbled across Just Love Coffee. The beauty of this coffee shop is that it is way more than just your traditional coffeehouse. Offering a diverse menu of breakfast, lunch and dinner items, in conjunction with the myriad of coffee options available, Just Love Coffee epitomizes the “one stop shop” experience for people looking to enjoy their favorite espresso while grabbing a bite to eat. 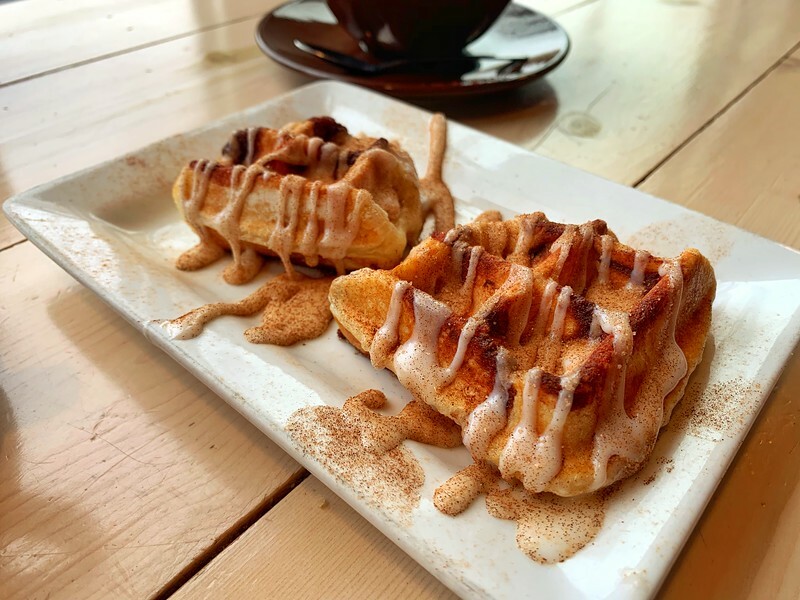 The signature items at Just Love Coffee are the delicious waffle concoctions, so be prepared to have your sweet tooth ready before visiting any of the franchise locations around Nashville. We couldn’t resist trying the cinnamon roll waffles though I have to admit, there were plenty of other options on the menu that we were tempted by. The “Toffee Coffee” featuring a “delectable combination of toffee nut, caramel, and dark chocolate” was irresistible and Heather opted for the traditional Hot Chocolate…you hear that presentation is everything but it’s fair to say that although they hit the nail on the head with that, the taste was equally amazing! 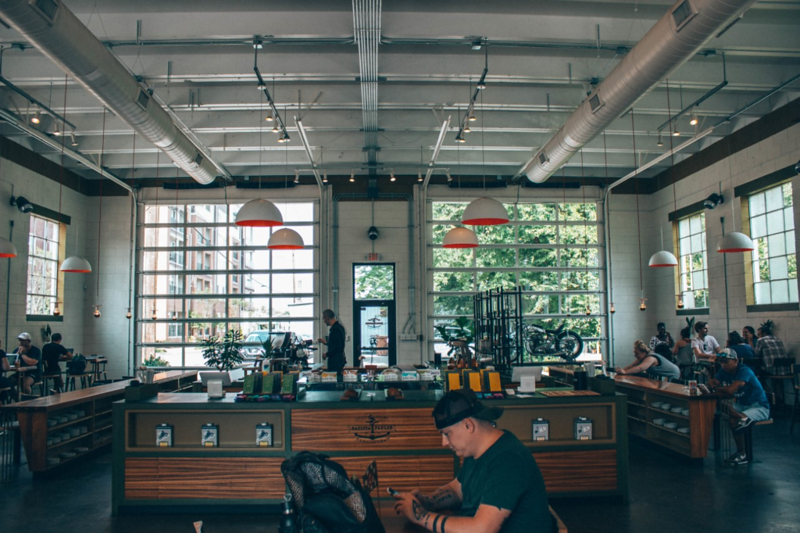 Nashville’s coffee scene is definitely an underrated attraction for this vibrant city. Although you may never visit a destination solely based on their coffee shops, it’s one of those things that if you love your morning coffee, you will quickly come to appreciate the plethora of options available throughout this city. Favorite coffee shop from this list of awesome spots? That’s a really tough one because each one has something distinctive that makes it appealing for visitors. I think it’s ultimately dependent on what you are looking for on a given day. 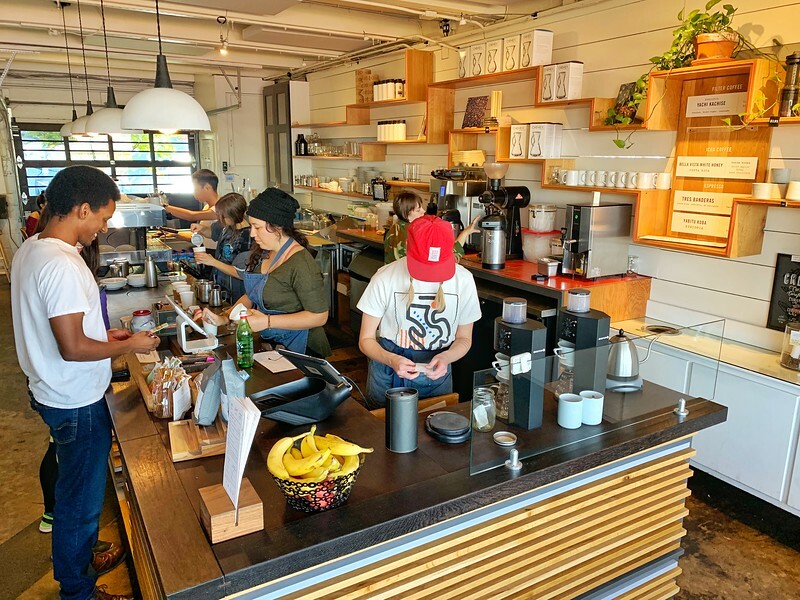 If you need somewhere to work, places such as Crema, Steadfast Coffee, and Barista Parlor are likely going to be popular spots while if you are focused purely on awesome coffee, well 8th and Roast is probably our favorite. 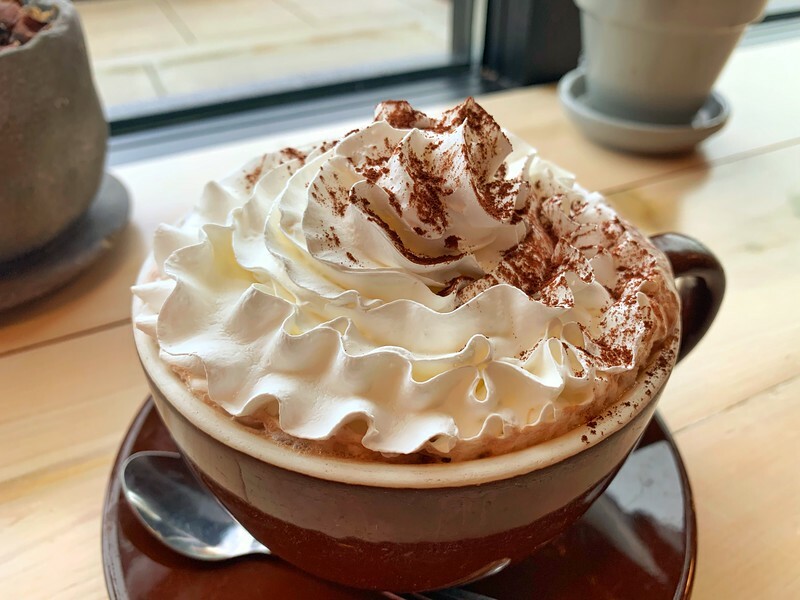 It’s fair to say, you cannot go wrong with any of these awesome coffee shops and just like many of our posts reviewing spots across a destination, it’s barely touching the surface as there are many others that you should consider visiting. If you have visited any other Nashville coffee shops that you recommend, please comment below! Wow! It looks so delicious. You shared great place and i really want to go there and taste it. Thank you so much for sharing this post.